We look forward to welcoming you to our hotel. Ideally located for business stays or trips to the sea or the mountains. A relaxing break on the A40, in the Aire de Bourg Jasseron service station, a green setting complete with pond and swans. See you soon! 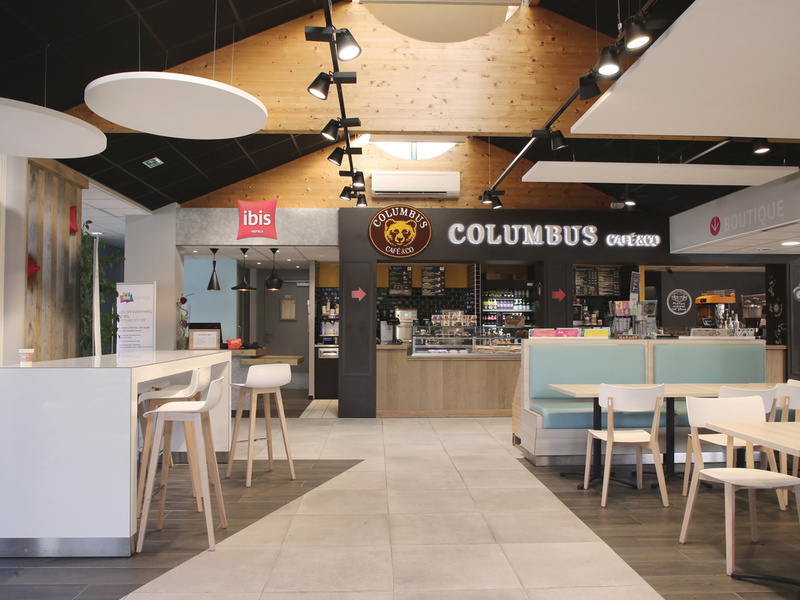 The hotel is located at the Bourg-en-Bresse/Jasseron service station on the westbound side of the A40 highway, between exits 7 and 6. Also accessible from the Teyssonge service station on the eastbound side of the A40, between exits 6 and 7, by calling us in advance on +33 (0)4 74 22 30 80. You can also find us off the highway via the D936. 2.5 miles (4 km) from Bourg-en-Bresse city center, 3.7 miles (6 km) from the train station and only 37 miles (60 km) from Lyon and St-Exupéry Airport. Authentic cuisine to your taste for over 40 years: choose from over 20 delicious seared grills cooked right in front of you on the fire. Alcohol abuse is dangerous to your health; alcohol should be consumed in moderation.